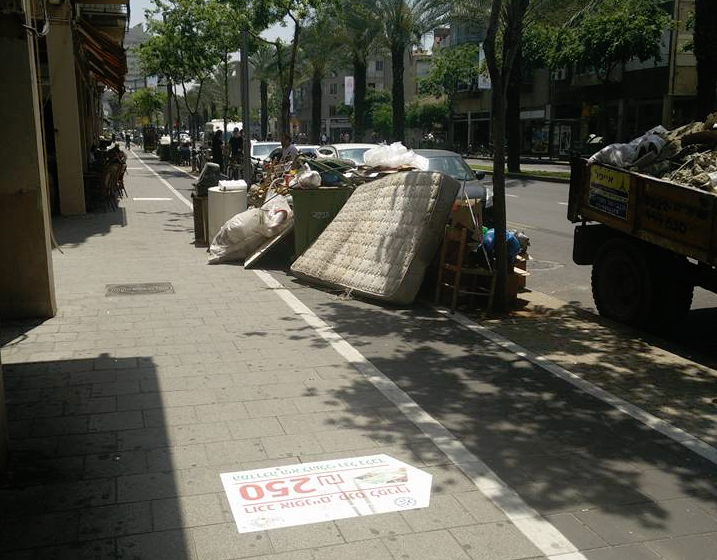 Tel Aviv, Kikar Rabin: The city’s various forms of garbage gathered this afternoon in Rabin Square to protest their potential displacement from the sidewalk under the city’s new mandatory bike lane laws. The Daily Freier walked over to find out what all fuss was about. At one point the garbage cans engaged in civil disobedience by purposely blocking the bike lanes and forcing bicyclists to ride in the pedestrian area of the sidewalk, but it looked too much like “every other day in Tel Aviv” and nobody noticed.